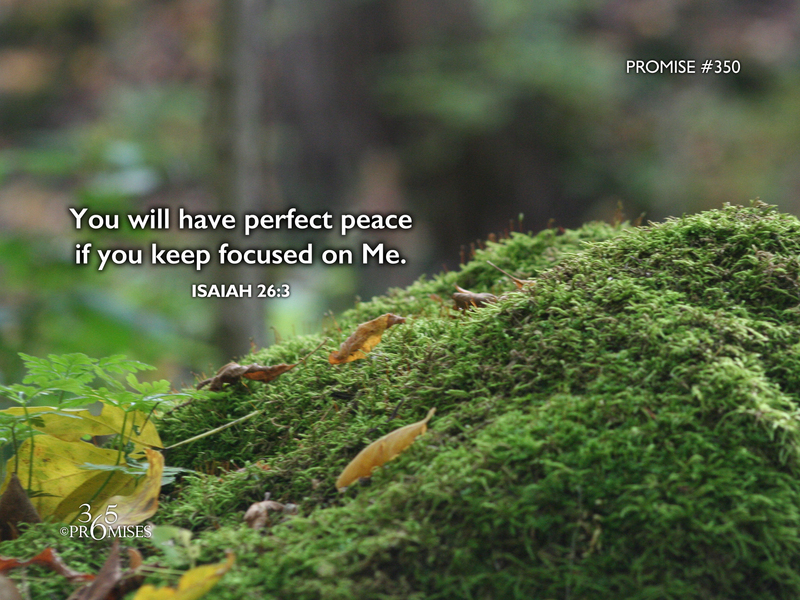 The New Living Translation Bible says Isaiah 26:3 this way... You will keep in perfect peace all who trust in you, all whose thoughts are fixed on you! I used to think that if I could fix all my thoughts on God in my mind, then I would have perfect peace. But the more I think of the whole verse, the more that I am convinced that I have been emphasizing the wrong part of the verse. The last part of this verse is the key... because he trusts in you. If we truly trust God with all of our life, then we won't feel the need to spend all of our time thinking about how we should manage our lives ourselves. If we don't have to think about managing life because we trust God to care for us, then we will have loads of free space in our mind to simply think on God. And that allows us to continually think on all of the good things that we are encouraged to think about in Philippians 4:8. In my many travels, I have not really found a person yet that doesn't struggle in some degree with an active thought life. My prayer for each and every one of us today is that God would show us that the key to having a mind full of peace is to first have a trusting heart. May the love of God convince us more today that He is worthy of our trust!